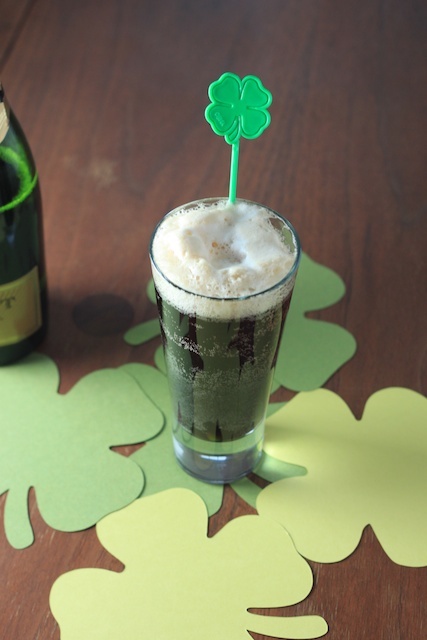 Continuing the St. Patrick's Day theme for Cocktail Hour this week, here is a fun way to gussy up some Guinness - add champagne! I wish I had heard about this drink - called a Black Velvet - years ago. I am not a big fan of drinking Guinness - I love to cook with the stuff, and loved to drink it when I was sitting in a pub in Ireland, but back here in Boston, I am not into it. It tastes good, of course, but it just feels so heavy. When you add Champagne to Guinness though, it lightens up immediately. 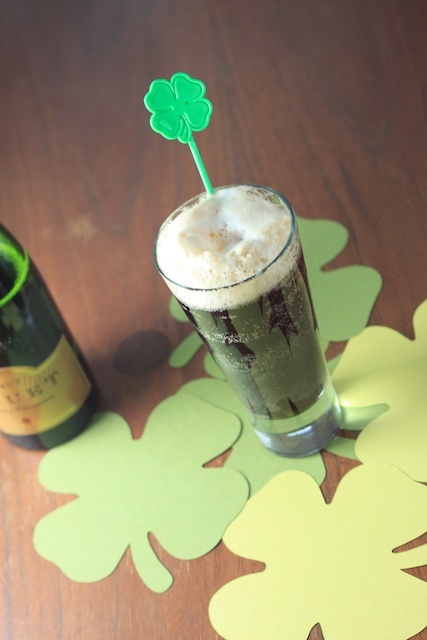 This drink is a match of opposites - the heavy, dark, molasses tasting Guinness with the light, sparkling champagne. These two opposite tastes meld together perfectly - each helping the other become something it is not - for the Guinness, lighter, for the champagne, more substantial. And together they create a really thick, delicious foam on the top, like a latte. 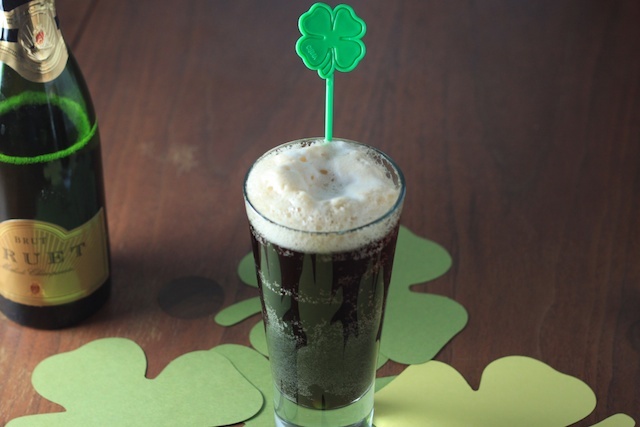 An easy and fun way to toast St. Patrick, may the luck of the Irish be with you! Fill a tall glass half way with Guinness or other stout, top off with champagne. Enjoy! Hi Wendy, this looks wonderful! I'd like to nominate your blog in Foodista. Hi Alisa: Thank you, I do not know a lot about Foodista but check it out and it looks great so thank you! This looks really cool and interesting...Thanks for sharing!